General view of Eastern Promenade roadway, from south. Casco Bay in right background. Published by Loring, Short, and Harmon, Portland, Me. 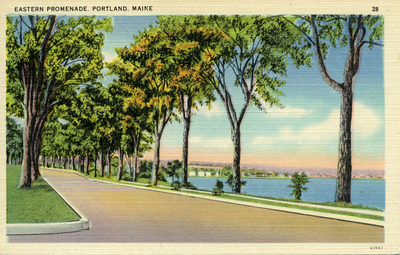 "Eastern Promenade, Portland, Maine." (2017). Portland Postcards. 40.